So I stopped wearing socks.” Socks have come on a lot since the time of Albert Einstein, and the amount of technology inside a good pair of hiker’s socks is incredible. Or, at least, that’s what sock-makers would have us believe. TravGear.com is incredibly suspicious about sock-makers, all of whom tend to push a particular fabric and come up with various other technical reasons for us to spend a considerable amount of money on their fabric tubes. 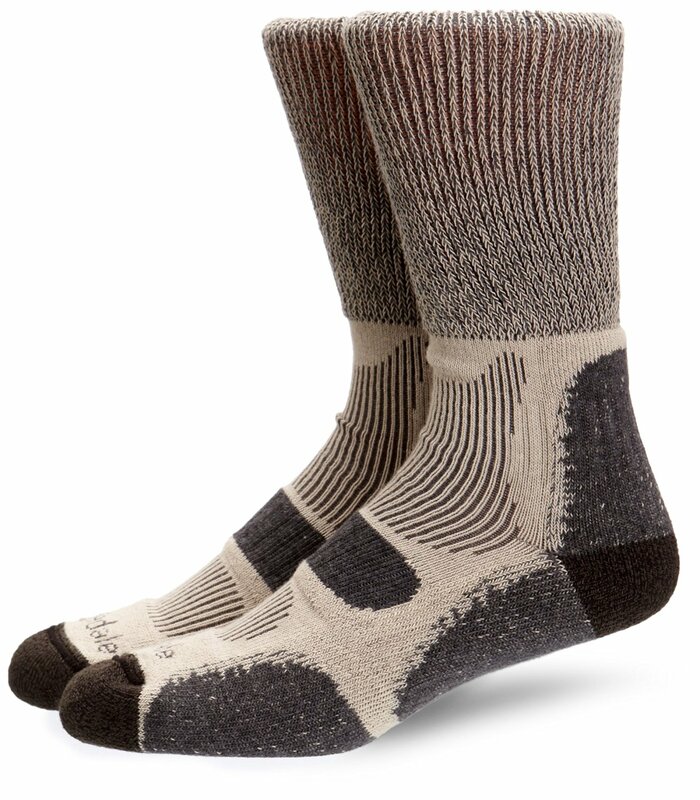 It’s no different with the Bridgedale Men’s Coolfusion Light Hiker socks, but for some reason we can’t stop buying them. The claimed secret sauce is Coolmax, a fibre created by merging polyester, cotton, Nylon and Lycra. The cotton is also blended with merino wool, though it’s not clear how much. Ah, merino wool, our favourite travel fabric of all. Can we tell those New Zealand sheep are working their magic in our feet? Well, during a hike the socks don’t get too sweaty, and there is definitely some drawing away of moisture from the skin. However, what we really like most about these socks is the upper section. The main footbed is comfortable and noticeably thicker on the undercarriage. We’re not convinced about the different panels on the stock, which appear to be coloured in black and grey and white just to give an impression of an advanced technological structure. However, the upper part is thin, stretchy, and it doesn’t leave elastic imprint on your ankle. Soft, strong, incredibly comfortable, we may be suspicious of the Bridgedale Men’s Coolfusion Light Hiker socks, but we still love them.